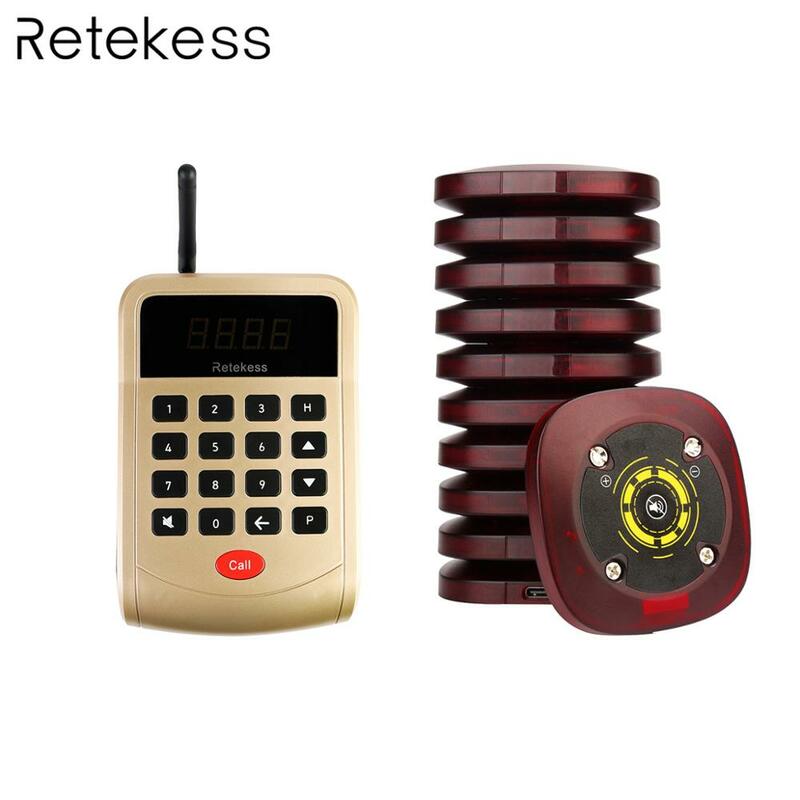 This wireless queuing system consists of one 999-channel wireless calling button keypad and 10 pcs wireless pager.The calling keypad can send 999 different codes by combination from digits 0-9. The queuing system greatly improves work efficiency and avoids customers waiting in a long queue. So it is widely used in fast food restaurant, food court, pizza shop, church and auto shop or other places where there are many guests waiting for their services. New design of the menu, fine workmanship, ultra-thin body, compact and light, easy to carry, with anti-watering function. It can support 998 menu cards, and the menu number is displayed by digital tube, which is convenient for setting and changing. With call record inquiry function, you can query the call record of 10 times, and the single button operation is simple and convenient. All functional design, all integrated into the transmitting host, simplify the operation and make the user more user-friendly. There is a button mute setting on the launching host, which can set all the charged menus to mute at the same time, or cancel the mute setting. There is a key pair key on the transmitting host, and the menu is in the charging state, and the code is performed, and the operation is convenient. One button to shut down, press the host 999 + launch button, all the slaves are turned off under all charging states. The slave after shutdown can be powered on automatically.